Hip to be Square Crochet Along! 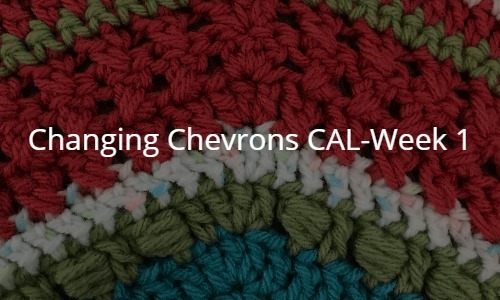 Welcome to Week 1 of the Changing Chevrons Crochet Along! If you missed the intro post, let me catch you up on how all this will work! 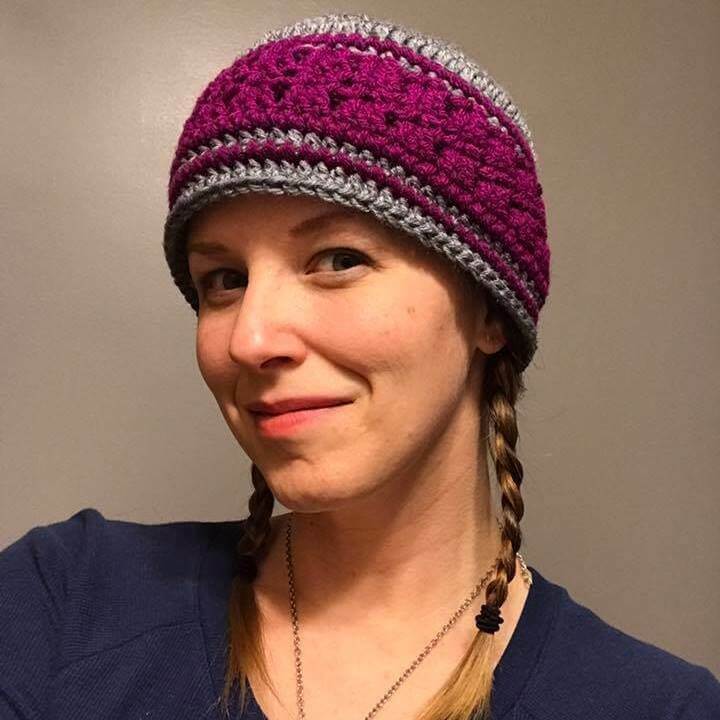 Every two weeks (every other Monday), I will post 10 – 15 rows of the pattern, including all stitches and variations required. I’m posting every two weeks to give you plenty of time to learn the new stitches and complete all of the rows for that section. 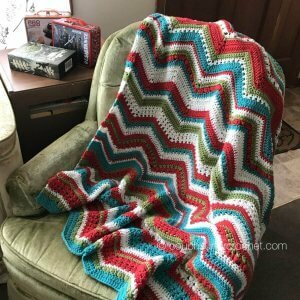 This blanket pattern uses different stitches done in chevron style. This gives the finished piece a unique look and wonderful texture. Since there will be multiple stitches used throughout, I have also created a Special Stitches Page which has the basic instructions for each chevron stitch variation. Hello and welcome! My name is Amber. I live in Tennessee with my adorable husband, CJ, and my crazy dog, Arthur Dent (Artie for short)! 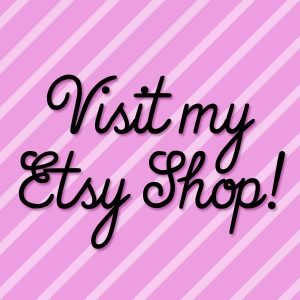 I own a small business where I live and in my spare time I crochet while watching my favorite TV shows, which inspired me to create Couch Surfer Crochet!